The classic translation of The Odyssey, now in paperback. Robert Fitzgerald's translation of Homer's Odyssey is the best and best-loved modern translation of the greatest of all epic poems. Since 1961, this Odyssey has sold more than two million copies, and it is the standard translation for three generations of students and poets. Farrar, Straus and Giroux is delighted to publish a new edition of this classic work. Fitzgerald's supple verse is ideally suited to the story of Odysseus' long journey back to his wife and home after the Trojan War. Homer's tale of love, adventure, food and drink, sensual pleasure, and mortal danger reaches the English-language reader in all its glory. Of the many translations published since World War II, only Fitzgerald's has won admiration as a great poem in English. The noted classicist D. S. Carne-Ross explains the many aspects of its artistry in his Introduction, written especially for this new edition. This edition also features a map, a Glossary of Names and Places, and Fitzgerald's Postscript. Line drawings precede each book of the poem. Robert Fitzgerald's versions of the Iliad, the Aeneid, and the Oedipus cycle of Sophocles (with Dudley Fitts) are also classics. At his death, in 1985, he was Boylston Professor of Rhetoric and Oratory at Harvard. 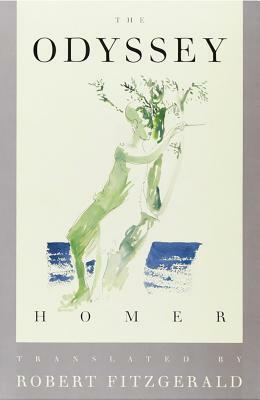 Homer is a legendary ancient Greek epic poet, traditionally said to be the creator of the epic poems the Iliad and the Odyssey. Homer's works form the groundwork of the Western Canon and are universally praised for their genius. Their formative influence in shaping many key aspects of Greek culture was recognized by the Greeks themselves, who considered him as their instructor.